On this rebroadcast of a Dropout Nation Podcast from 2012, RiShawn Biddle calls upon reformers to remember the need to build brighter futures for all kids – and take the time in the new year to advance systemic reform. Listen to the Podcast at RiShawn Biddle Radio or download directly to your mobile or desktop device. Also, subscribe to the Dropout Nation Podcast series. You can also embed this podcast on your site. It is also available on iTunes, Blubrry, Google Play, Stitcher, and PodBean. On this special edition of The Conversation, Dr. Steve Perry blasts the Associated Press’ sloppy report on charter schools, explaining the difference between minority families choosing schools and forced segregation by traditional districts and states. Listen to the Podcast at RiShawn Biddle Radio or download directly to your mobile or desktop device. Also, subscribe to The Conversation podcast series and the overall Dropout Nation Podcast series. You can also embed this podcast on your site. It is also available on iTunes, Blubrry, Google Play, Stitcher, and PodBean. 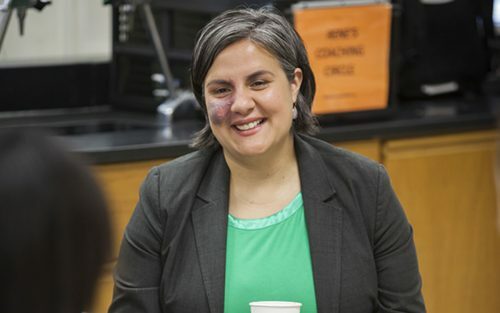 On this edition of The Conversation, RiShawn Biddle chats with Teach For America CEO Elisa Villanueva Beard about the teacher quality reform outfit’s more-pronounced efforts on addressing equity, criticism from reformers who prefer it to focus solely on teacher quality, and the organization’s moves to bolster and diversify recruiting. Listen to the Podcast at RiShawn Biddle Radio or download directly to your mobile or desktop device. Also, subscribe to the On the Road podcast series and the overall Dropout Nation Podcast series. You can also embed this podcast on your site. It is also available on iTunes, Blubrry, Google Play, Stitcher, and PodBean. On this episode of On the Road from May 2016, RiShawn Biddle joins Steven Evangelista of Harlem Link Charter School, Shawn Hardnett of NewSchools Venture Fund, University of Pennsylvania’s Matthew Steinberg, and Mastery Charter School’s Scott Gordon in a discussion at NewSchools’ annual conference on the overuse of out-of-school suspensions and other harsh school discipline. Watch the podcast on this page or download directly to your mobile or desktop device. Also, subscribe to the On the Road podcast series and the overall Dropout Nation Podcast series. You can also embed this podcast on your site. It is also available on iTunes, Blubrry, Google Play, Stitcher, and PodBean. On this edition of On the Road broadcast from Live Together, Learn Together’s conference in Washington, D.C., RiShawn Biddle joins with Bowie State University education scholar Treopia Green Washington, the Century Foundation’s Richard Kahlenberg and Laura Wilson Phelan of Kindred to discuss where do we go on integration seven decades after Brown v. Board of Education and the Little Rock Nine. In this edition of On the Road from 2016, Editor RiShawn Biddle joins with Deray McKesson, Parent Power activist Milagros Barsallo, now-Baltimore City Councilman Zeke Berzoff-Cohen, and Jonathan Mansoori of Leadership for Educational Equity in a Teach For America discussion on how reformers can use movement organizing to transform the schools and communities in which our children live. Watch here or download for your own viewing. Also, subscribe to the On the Road podcast series and the overall Dropout Nation Podcast series. You can also embed this podcast on your site. It is also available on iTunes, Blubrry, Stitcher, and PodBean.